The Borla ATAK Cat-Back Exhaust is Borla's loudest, proudest, and most aggressive system they have for the EcoBoost, V6 and V8 F150 trucks. 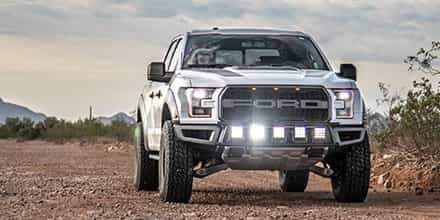 This mean exhaust kit gives your powerful new F150 truck one of the most aggressive sounds you'll find in a high-performance exhaust system on the market while adding a nice increase in horsepower and throttle response as well. The whole neighborhood will know you're coming when you drive down the street with a Borla ATAK Cat-Back Exhaust System installed. 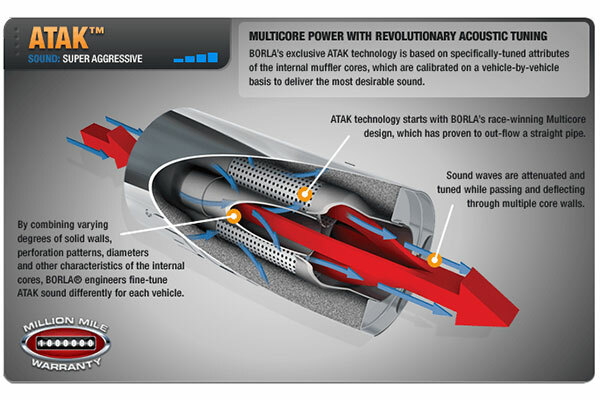 On top of the amazing new sound, the Borla ATAK Cat-Back Exhaust System reduces back-pressure with it's mandrel-bent tubing and high-flow multi-core muffler to give your truck some extra horsepower and torque. The Borla ATAK system is one of the best ways to add a race car growl to your truck in practically no time at all. 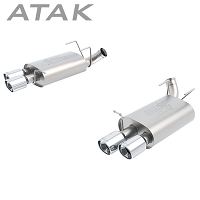 The ATAK F150 Cat-Back Exhaust kit gets it's immense sound and vicious roar from it's aggressively-designed mufflers. 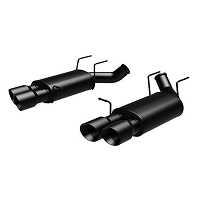 Each muffler has a multi-core internal structure similar to those found in professional racing trucks. 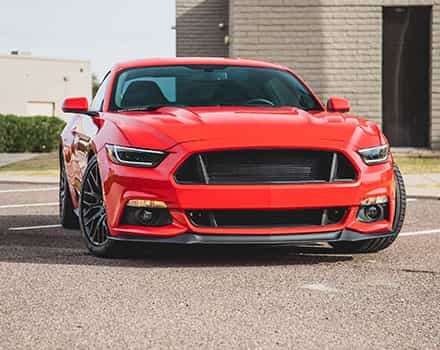 The unique design allows for excellent exhaust flow and acts as a resonator to produce an extremely aggressive sound that's louder and deeper than their S-Type Cat-Back System and completely blows away their Touring Cat-Back exhaust kit when it comes to the sound level. Topping it all off is this kit's awesome split rear exit design with a 4" rolled, angle-cut tip with a polished finish that give your truck an impressive look on top of the great sound. 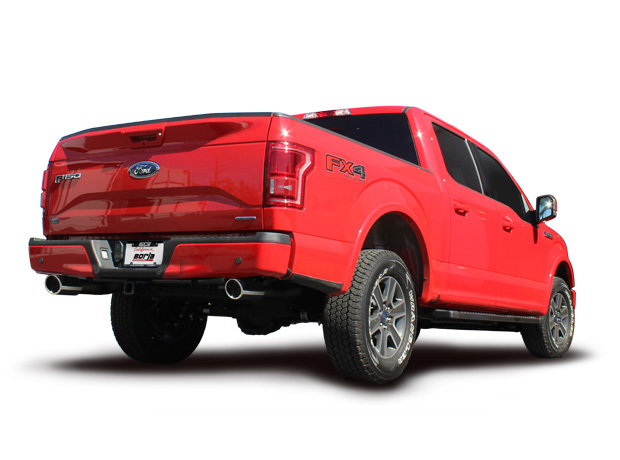 Every ATAK F150 Cat-Back Exhaust kit is manufactured with both quality and fitment in mind so that you don't have any hassles after the system arrives at your door. 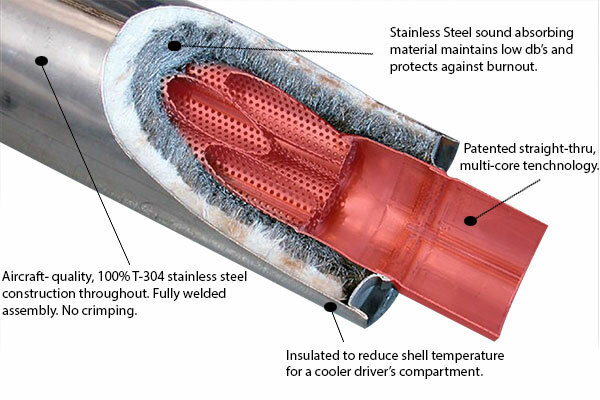 The entire system is built using high-quality 300-series stainless steel that's almost completely resistant to corrosion and discoloration making it effective in just about any climate. These kits are manufactured using computer-controlled CNC mandrel bending that ensures excellent fitment. 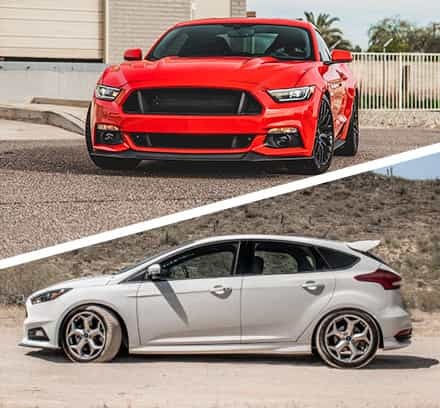 Fitment: 2015-2018 Ford F150 2.7L & 3.5L EcoBoost V6 / 5.0L V8. Extended Cab, Standard Bed (78.8") Crew Cab Short Bed (67.0)(145" Wheel Base). 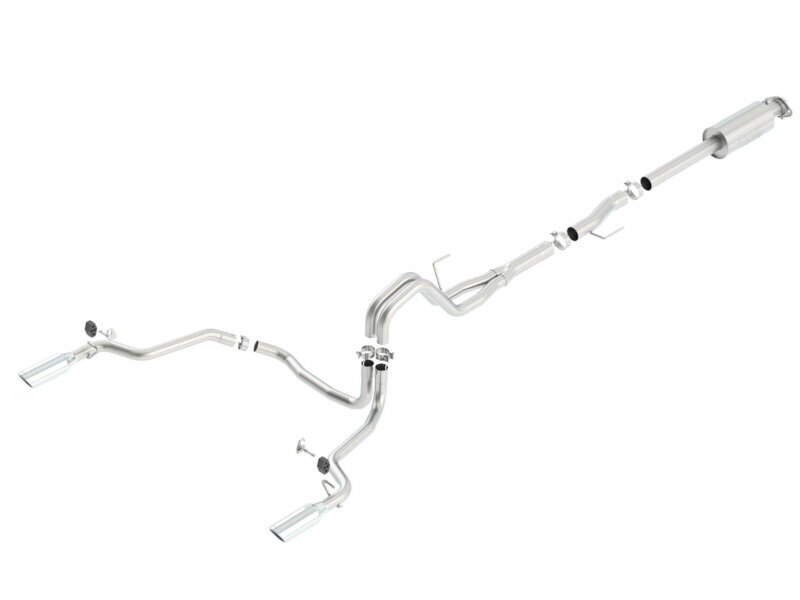 Warranty Info: BORLA backs their ATAK exhaust systems with a Million-Mile Warranty. Wheelbase Fitment: this cat-back kit only fits F150s with 145" wheelbases out of the box. Borla's 157" Wheelbase Adapter Pipe or 163" Wheelbase Adapter Pipe will be required for longer wheelbase trucks. Trimming will be required for 141" and 126" wheelbase models. Best sounding exhaust I've heard on a truck that wasn't a baja racer. Have had it on my truck for a little over a month and have gotten more compliments and questions about it then any other exhaust I've had on a vehicle. Installing it was a breeze did it in just over an hour. Nice and loud when you get on it but not to loud just cruising around. I brought a Magnaflow exhaust system model#19062 two month ago from the local shop, but the performance and sound is not like Atak at all... 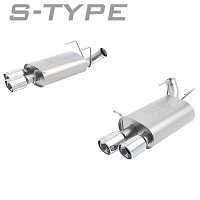 If you guys want to change a cat- back exhaust system for a better quality and performance don't waste your time and money like I did... Just get this one I guarantee you will have no regret. Great quality. Bolted up good just needed to adjust the tips a little they were vibrating on the bumper. Sounds amazing. If you want a mean sound to your truck this is the best. I had Flowmasters on my old F150 and the Borla Atak is so much better quality and sound. there is no comparison Borla is the best. This is a Cat back system but sounds great. easy to install. I installed it by myself in about one hour with basic tools. I love getting on it to hear the rumble.Inside the cab it is not loud at all the flowmasters were louder inside NO DRONE. 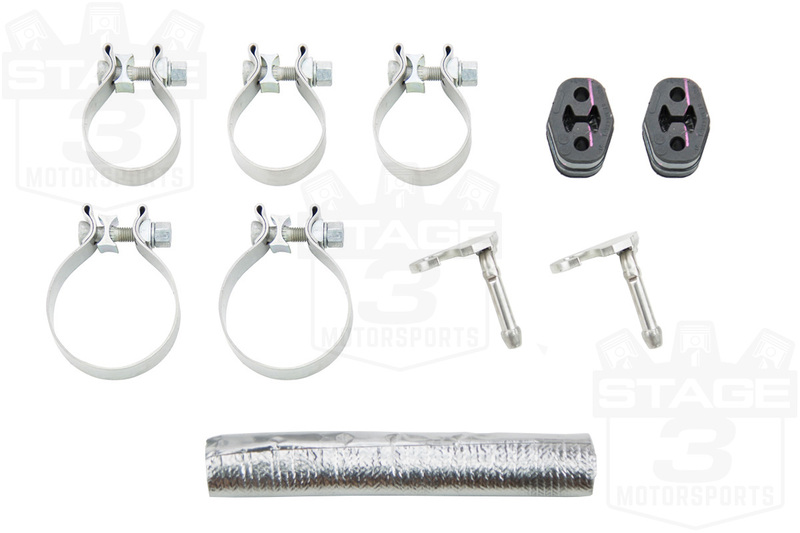 Stage 3 Motorsports had the best price and it shipped quickly i would buy from them again. It comes well packed. It took me more than three hours to complete. Due to having the existing pipes were little rusty together. so just take your time while installing it. after getting installed it sounded great and very load! I've always been a borla fan. Wow !! Watched a lot of YouTube videos to hear what exhaust to put on my 2016 Ford F-150 and this exhaust sounds better in person . By far the best exhaust sound I've ever heard on a pickup! Thank you Borla love those ATAK!! Easy install, took around a hour. The sound of the ATAK's is like no other, they've been on less than a week and have received so many compliments on the aggressive sounding exhausts. 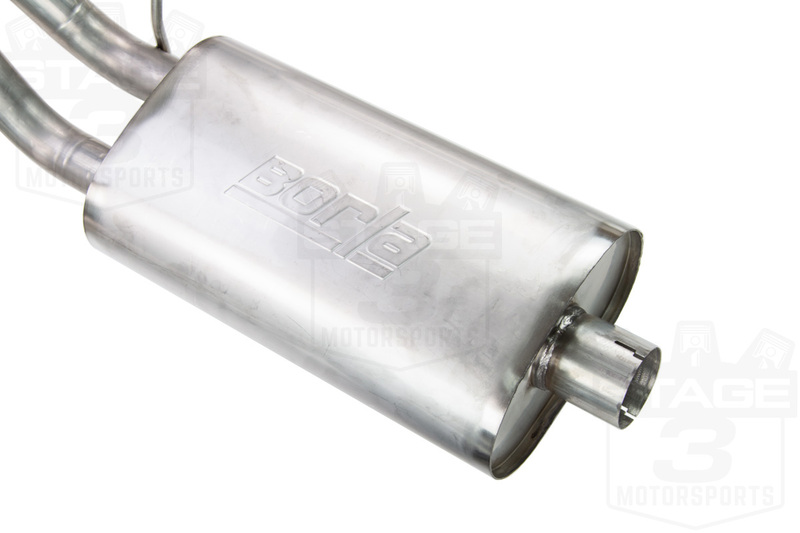 If you want an aggressive, loud exhaust, Borla ATAK is the only way to go. Around 3,000 rpms have been my best sounds yet with a strong clacking noise you can hear from a long ways away. After going with Borla, I will never purchase anything else! Install was easy. Quality system that sounds great, and looks great. Love it, install time was about 2 hours by myself in my driveway. Super loud when cold started but once you start driving there is barely any drone. Until you step on it lol great quality would definitely recommend. Love the sound! Had this installed and immediately you noticed a quality in sound as well as more 'throaty'. Borla really makes an eco boost truck sound like a true B8! Could not have been more happier with the results! 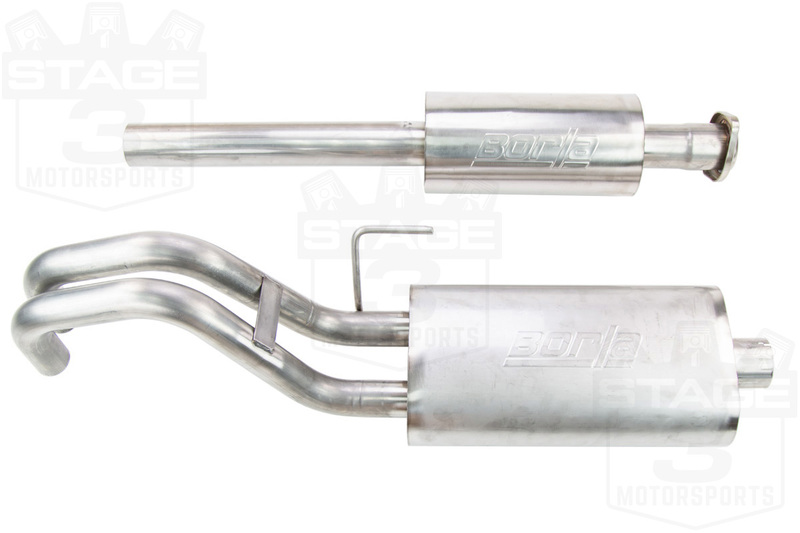 Would there be any difference in exhaust note between the Dual Side Exit and Split Rear Exit set ups? or is it just pointing the speakers towards the sidewalk vs the car behind you at the lights? You're correct, more or less. There's won't be much of a sound difference between the two different versions of the ATAK kits, and the difference is mostly aesthetic. However, it is important to note that the twin-side exit ATAK kit is better for towing applications, as you'll get a pretty annoying reverberation off of whatever you happen to be towing with this dual rear exit system. This system won't work on the crew cab 6.5 bed configuration? Not out of the box. 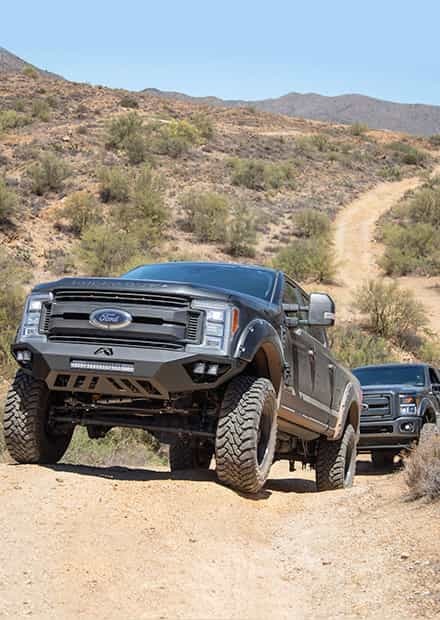 The kit only fits F150s with a 145" wheelbase. For fitment on a truck like yours with a 157" wheelbase, you would also need to purchase Borla's 2015 F150 157" Wheelbase Adapter Kit. Is this exhaust California legal? It is 50-state legal, as it does not effect emissions. However, it is extremely loud, so you may want to verify local noise ordinances before ordering. 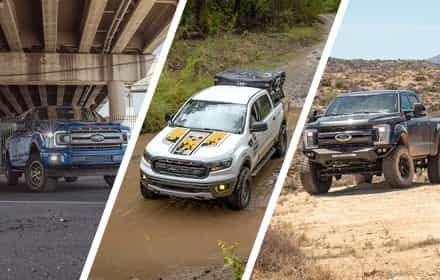 The 3.5L EcoBoost V6 doesn't have the overall sound volume as the 5.0L F150s, but more importantly, the 5.0Ls have a much deeper and throatier sound than the V6 trucks, which tend to have a higher pitch and turbo whine. 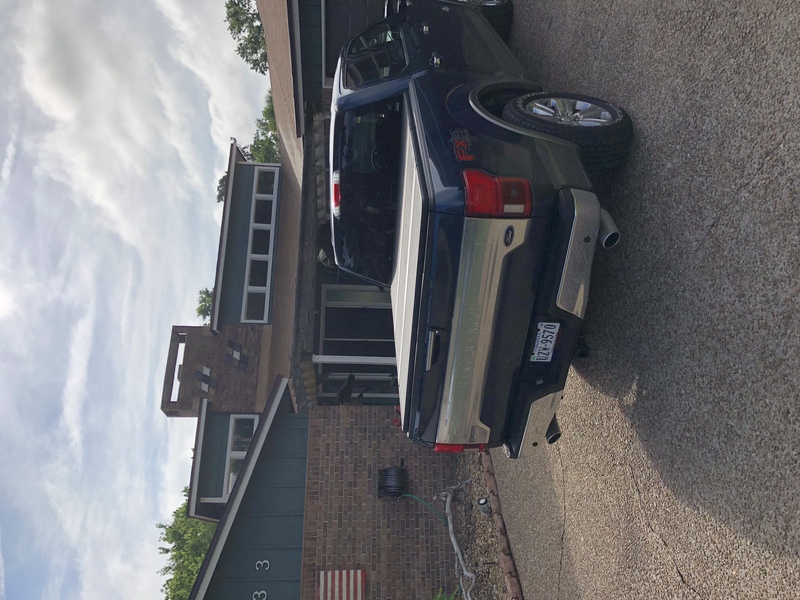 If you want to hear a clip that's roughly equivalent, take a look at our 2011-2014 F150 5.0L Borla S-Stype vs. ATAK Sound Clip on our 2012 F150 5.0L, which should be much more equivalent to the 2015 F150 5.0Ls than the comparison between motors. Box measurements are 16"x13"x61" (40cm x 33cm x 155cm). Shipping weight is 58lbs (26.3kg). 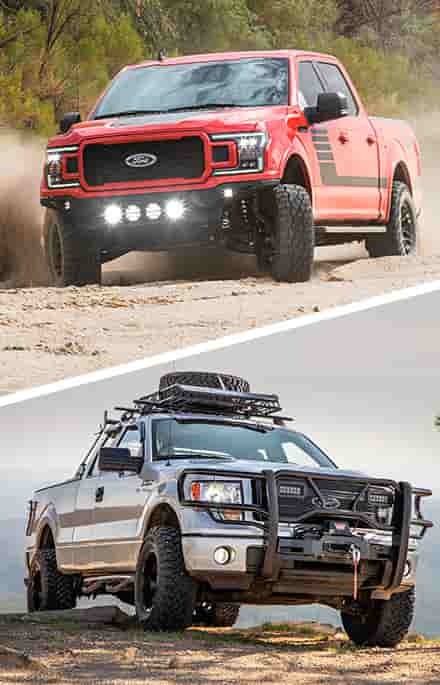 I have a 2016 F150 V8 extended cab with 6.5" styleside, would this fit my application? This kit will fit 2016 F150s with a SuperCab (Extended Cab) and a 6.5ft bed without additional hardware. 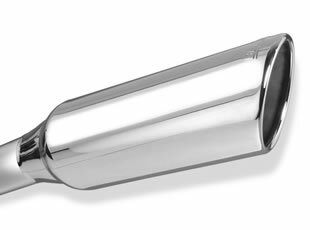 how do you compare this to the flow master exhausts ? louder then the outlaw ? or closer to the american thunder? I haven't heard them personally on the '15-'18 trucks yet, but on the older F150s, the Flowmaster Outlaw was on a whole 'nother level when it came to loudness. The ATAK system is a lot closer to the American Thunder Kit, though it is louder and has some popping in the higher rpms, while the American Thunder kit tends to stay pretty clean. Anyway to get black tips instead of polished? I need black tips!! Unfortunately, Borla is not offering this kit with black tips. Your best bet would be to have them coated locally. Have a 2015 f150 5.0. Im very interested in the borla atak. But i have to have black exhaust tips. Anyway to get them with this system. Bc thats whats stopping me from purchasing? Black tips are not currently an option with this system, unfortunately. Black tips would either need to be purchased separately, or you could have the tips included in the kit coated locally. I'm very interested in the Borla ATAK. I would like to have a tip come out both sides like the flowmaster outlaw offers. Does Borla offer this? They currently do not. Though Borla does offer this kit with a Twin Side Exit configuration.